YAKUSHI NYORAI (Buddha of Medicine and Healing). This 18-page report features over 50 photos and numerous manifestations of Yakushi in Japan, including Yakushi’s role in curing life-threatening illnesses and eye ailments, and in granting “this-worldly” benefits. The devotional cult of Yakushi was one of the first to develop in Japan after Buddhism’s introduction to the Japanese archipelago in the mid-sixth century. Concrete evidence of Yakushi’s worship on Japanese soil dates from the late seventh century. This report relies heavily on the research of scholar Yui Suzuki, an associate professor at the University of Maryland. This primer also includes five side pages that explore Yakushi’s twelve vows while still a bodhisattva as well as Yakushi’s twelve warrior generals (Jūni Shinshō) and two attendants (Nikkō & Gakkō). Enjoy. VIDEO. Length = 5.44 minutes. 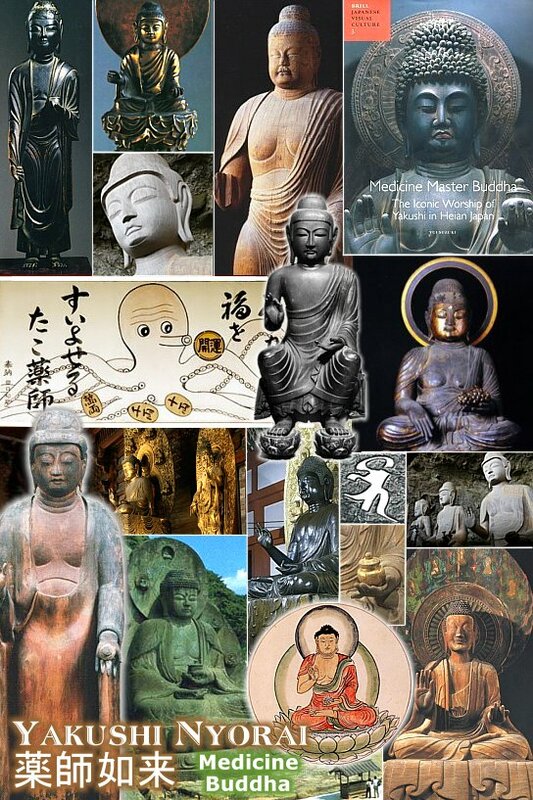 15th-16th century Niō statues on the world art market. Join Mark Schumacher as he explores the iconography of the Niō guardians at Tōdaiji Temple, Nara, Japan. Promotional video for the auction of a Muromachi-period set of Niō temple guardians that are modeled/styled after the famous Niō pair at Tōdaiji Temple. The auction site is here.